Our Wooden Venetians are a quality solid wood product made to measure and supplied with choice of matching cords or tape finishes. Decoratively finished with integrated pelmet to complete the quality look for any home or workplace. Wooden Venetians are hard-wearing and versatile – ideal for most windows. 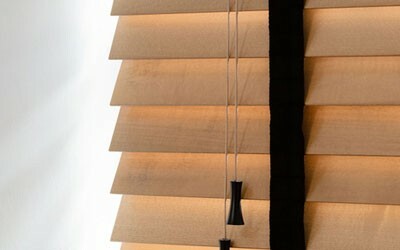 For a similar look but lighter weight, see our Faux Wood Blinds. 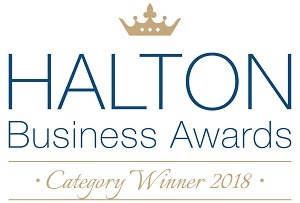 We are proud to have won New Business of the Year 2018 in Halton's small business awards! Our dedication to customer service paid off. Ace Blinds are proud to be part of Make it Safe from the British Blind and Shutter Association (BBSA). For a no-obligation quotation call us on 0151 423 0600 or on mobile 07745 976254, alternatively use the form below and we'll call you! Visit us today! Our shop is located at 206 Liverpool Rd, Widnes, WA8 7HY. Next to Chestnut Lodge Supper Bar. Click here to see on Google Maps.